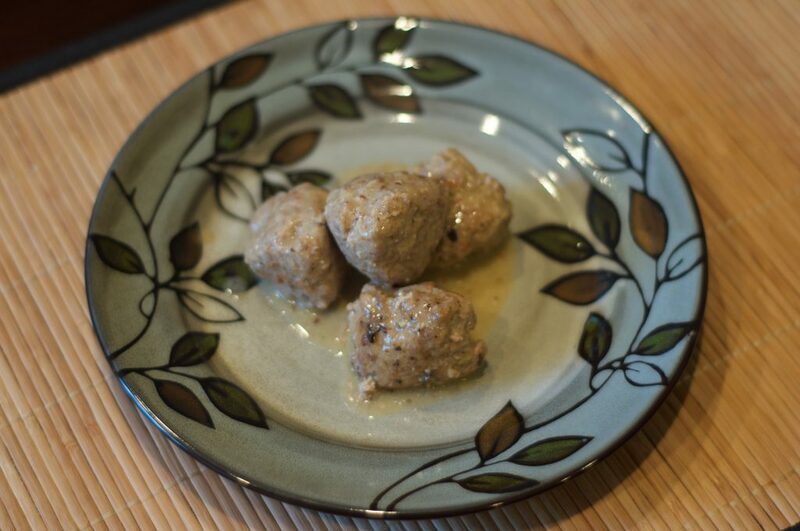 When Mike first heard that I wanted to make Swedish meatballs, he was quite hesitant to try them. He likes meatballs in general, but he had never heard of “Swedish meatballs”, and he usually doesn’t like to try out new dishes. Mike hates sour cream and usually won’t eat anything that has been near sour cream. I may have forgotten to mention that there was sour cream in this dish before he tried them. To be fair, there is only a small amount of sour cream in the sauce. Once Mike tried these, he was hooked. He even recently called them “little balls of awesomeness”. He often asks when we will be making these next. Honestly, he would probably eat these every night if he could. When we make a batch, he often happily eats them for multiple meals (instead of reluctantly consuming leftovers as he usually does). 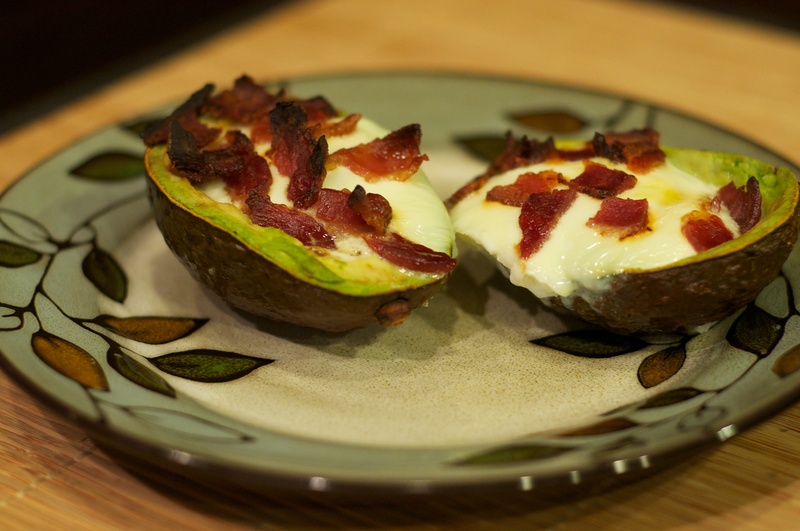 One of the “drawbacks” to this recipe is that it uses bacon. Don’t get me wrong, I love bacon. The problem is that bacon is pretty unhealthy. As a result, I don’t often have bacon in the house. Another issue is that the recipe uses a small amount of sour cream. I often don’t have sour cream in the house since Mike hates sour cream and refuses to eat almost any dish that has sour cream. This makes it difficult to use up the leftover sour cream. Lastly, this recipe takes a LONG time to make. The meatballs need to be cooked in batches since they won’t all fit in the braiser. 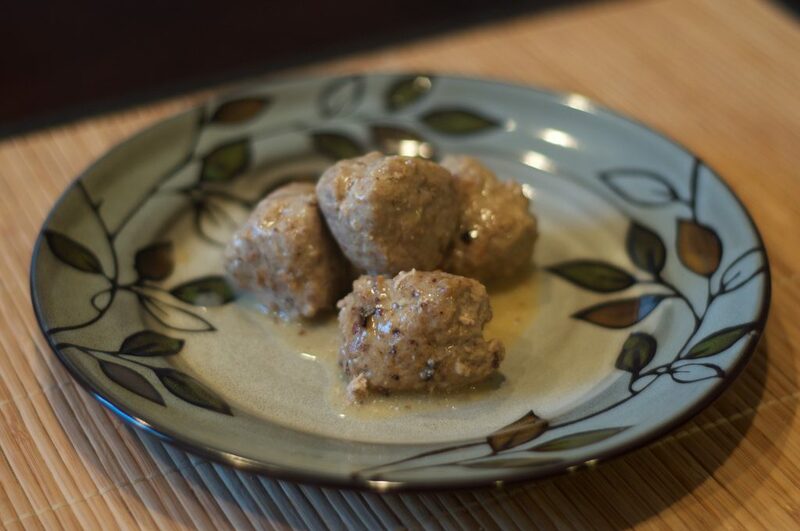 That being said, these meatballs are amazingly delicious and absolutely worth the amount of time needed to make them. We just make them on the weekend instead of on a weeknight. 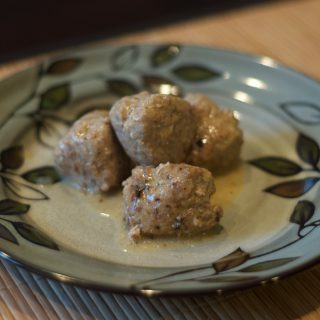 I find the flavors in these meatballs to be quite strong, and I prefer to eat these over angel hair pasta, with a small amount of sauce. Mike often eats these by themselves, or with some mashed potatoes. In a small bowl, combine breadcrumbs and ⅓ cup chicken broth. Stir to combine. Set aside. 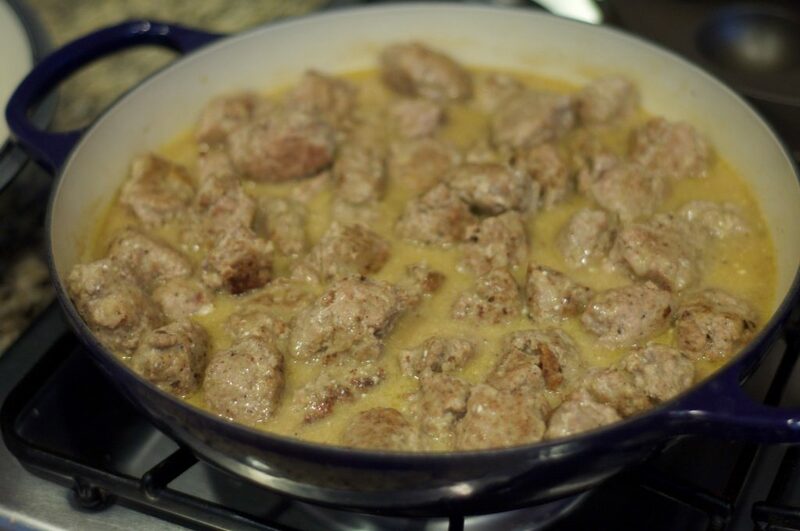 In a large skillet, melt 1 tablespoon butter over medium heat. Add the onions and sauté until they are softened, about 10 minutes. Remove onions from the skillet and place them in a large bowl. Set aside. Add bacon to the skillet and cook until bacon is crispy, about 8 minutes. Using a slotted spoon, remove bacon from the skillet and place the bacon in the large bowl along with the onions. Reserve the bacon fat (leave it in the skillet). Add ground turkey, eggs, salt, pepper, allspice and nutmeg to the onion mixture. Stir to combine. Add the reserved bread crumb mixture to the onion mixture. Stir to combine. Line a baking sheet with parchment paper. Roll meat mixture into a 1 inch ball and place on the prepared baking sheet. Repeat with the remaining meat mixture. Add one tablespoon butter to the reserved bacon fat in the skillet and heat over medium low heat. 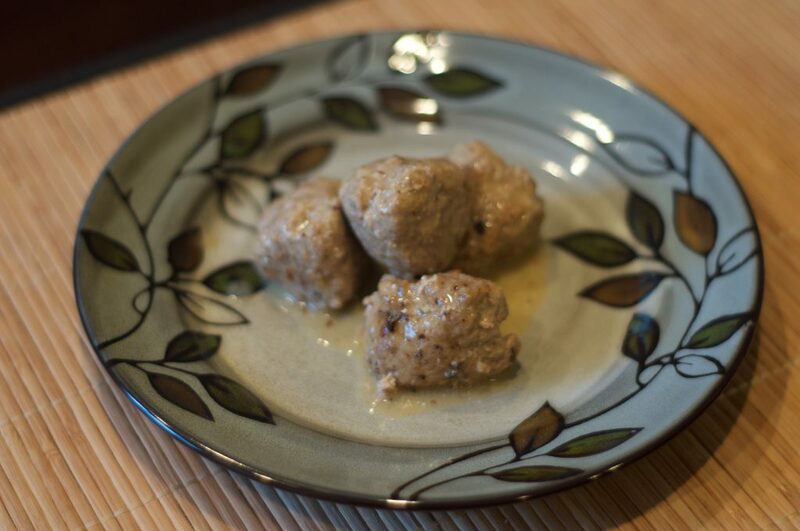 Working in 3 batches, place ⅓ of the meatballs in the skillet, per batch and brown on all sides. This will take about 6-8 minutes per side. The meatballs will not be cooked through. If needed, add a tablespoon of butter between batches. Line a plate with paper towels. 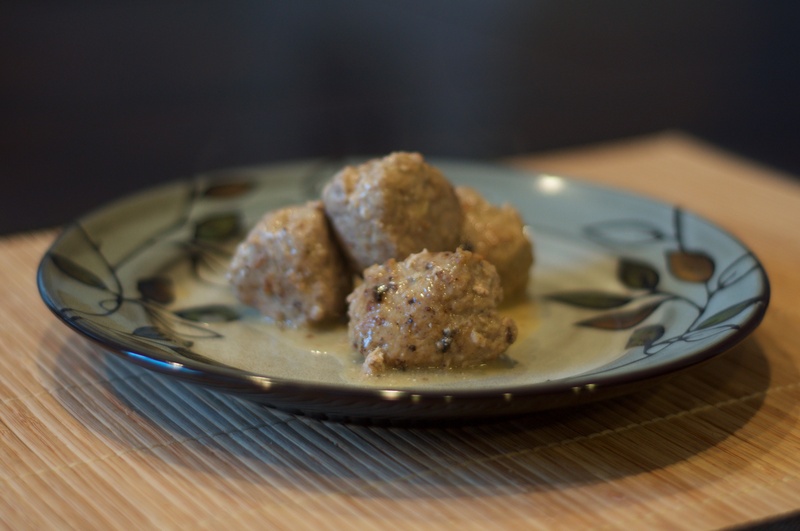 Transfer the meatballs to the plate after they have been browned. Dab the top of the meatballs with more paper towels. Drain fat from skillet, leaving 2 tablespoons behind. Slowly whisk in flour and stir until a paste is formed. Slowly whisk in 2 cups of chicken broth. Raise the heat to medium high and bring the broth mixture to a simmer. 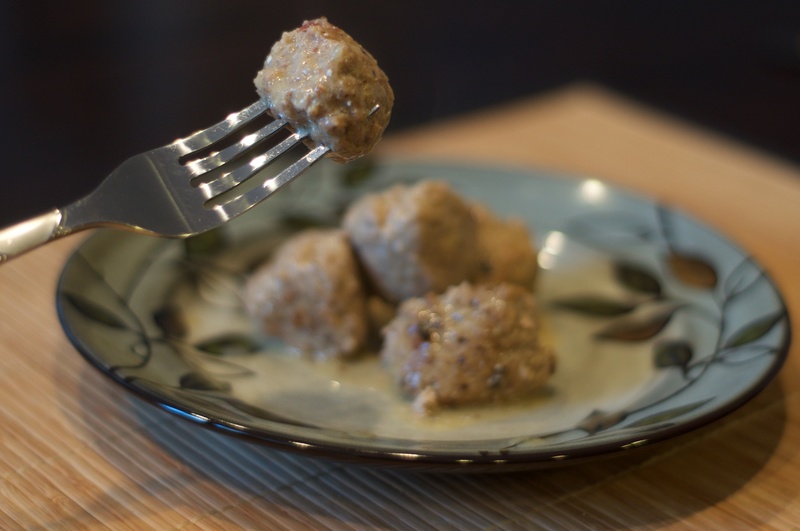 Add the meatballs back to the skillet. Cover the skillet and simmer the meatballs until they are cooked through, about 15 minutes. Remove skillet from heat and whisk in the sour cream. Stir so that the sauce coats the meatballs. 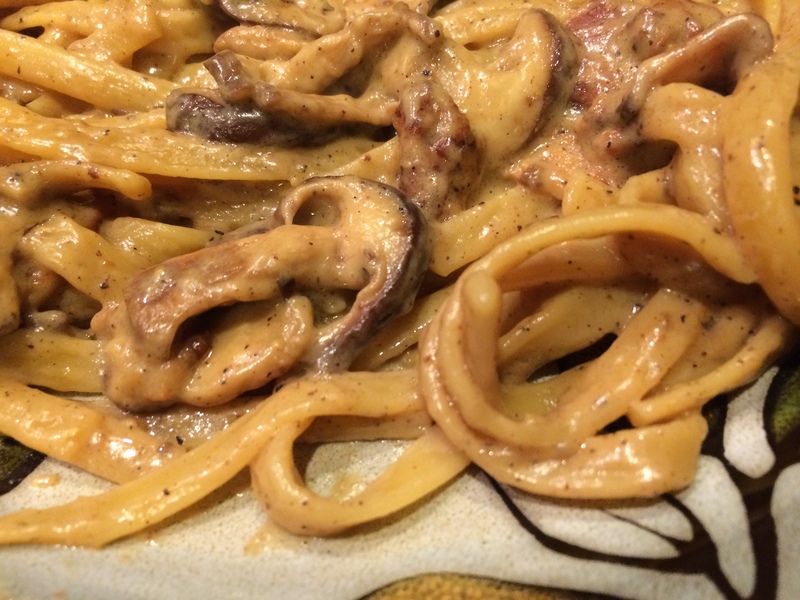 Serve hot with pasta or mashed potatoes, if desired.